How much longer can the charity Diabetes UK continue to provide advice on diet to the UK’s 3.9 million people with type 2 diabetes that is based on the discredited Seven Countries Study carried out by Ancel Keys back in the 1950/1960s? The urgency of this question cannot be overstated. On the one hand, type 2 diabetes is almost certainly the most poorly managed chronic disorder of modern times. Two out of three people with the disorder fail to control their blood glucose despite GPs handing out diabetic medication amounting to 10 per cent of the NHS drugs budget. The long-term consequences of this failure are staggering and tragic – both financially and at an individual level. Every year, 80 per cent of the £10bn that the NHS spends on diabetes is used to treat the consequences of poorly controlled blood sugar: kidney and heart failure, increased risk of heart attack and stroke as well as blindness and nerve damage. Each week surgeons carry out more than 100 diabetes-related amputations – with 24,000 deaths every year because people with type 2 diabetes are not able to control their blood glucose. At the same time, there is virtually universal acceptance that type 2 diabetes is the classic life-style disorder where what you eat makes a crucial difference. So why does Diabetes UK (with the support of both Nice and NHS Choices) persist in sticking to a recommendation that everyone with type 2 diabetes should continue to consume ‘a normal’ healthy diet’ – ie.one that’s low in fat and with plenty of daily starchy carbohydrates including bread, rice and pasta, based on the now discredited 1950/1960s Keys study. Sure – as Diabetes UK continually points out – not everyone with type 2 diabetes is obese: some indeed are ‘skinny’. But eight out of ten people with the disorder have a BMI above 30 which suggests that a key factor is diet – with new evidence showing why there is no single BMI linked to type 2 diabetes. ‘We now know that individuals have different levels of tolerate to fat within the liver and pancreas,’ explains Professor Roy Taylor of Newcastle University’s Diabetes Research Group. ‘Only when a person has more fat than they can cope with does type 2 diabetes develop. What’s more, we now know that when they successfully lose weight and go below their personal fat threshold, their diabetes will disappear,’ he explains. 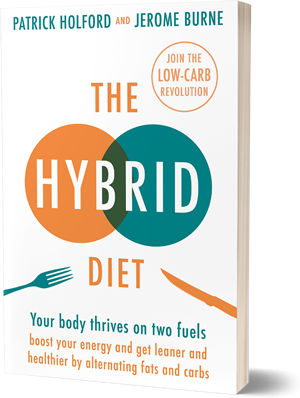 The last two or three years has seen a growing pile of highly persuasive evidence showing the benefits of weight loss for people with type 2 diabetes who switch to a low carb diet. Last year, the journal Diabetologia published a study of 19 patients with type 2 diabetes at the Southport surgery of Dr David Unwin, a GP and diabetes specialist. All the patients lost an average of 8.65kg (19lb) over seven months on a low-carb, high-fat diet, reducing their blood glucose levels by nearly a quarter. Later this year, Dr Unwin is set to publish a further study of 69 patients with non-alcoholic fatty liver disease, a precursor of type 2 diabetes as well as heart disease, showing a 46 per cent improvement in liver blood tests, and therefore a reduced risk of high blood glucose levels after an average of 13 months on a low-carb high-fat diet. .
What’s more common sense supports the low carb protocol, according to diabetes specialist, Dr David Cavan, author of Reverse Your Diabetes. ‘We know that type 2 diabetes develops when blood glucose rises above a certain level – and whether it’s sugar, rice, bread or potatoes, these carbohydrates rapidly turn into glucose in your bloodstream,’ he says. His patients and many others are able to control blood glucose by becoming more active and switching to a low carb diet. Indeed under his influence, around 280,000 people with diabetes have signed up to the online forum, diabetes.co.uk where they are able to swap tips on low carb meals and provide comradely support to each other as they’re forced to ignore the advice from their GP or diabetes nurse. Bob from Sudbury, Suffolk has lost the sight in one eye and suffered kidney failure and nerve damage after being diagnosed with type 2 diabetes 12 years ago but given ‘little to no advice ‘. Sari from Hampshire says her mother ended up with a huge weight problem because her diabetic nurse insisted ‘you are getting it wrong by not eating enough carbs and that is the main cause of your problem.’ Poppy’s daughter in law was told she ‘must eat carbohydrates to use her insulin’. It’s not just the UK where people with type 2 diabetes are confused. Earlier this summer, the Academy of Nutrition and Dietetics, representing 90,000 US dietitians, ‘turned its back on decades of dietary dogma’ with a report to ‘de-emphasise saturated fat as a nutrient of concern’ while ‘recognising the strongest evidence that a reduction in intake of carbohydrates and added sugars will improve the health of the American public’. Yet at almost exactly the same time, pro-low-carb dietitian Jennifer Elliott was expelled from the Dietitians Association of Australia because of her recommendation to lower carbohydrate diets to people with type 2 diabetes. When she turned up for work at Southern New South Wales health district, she was sacked – and a warning was issued to dietitians that ‘nutritional advice to clients must not include a low carbohydrate diet’. Elliott says she had no choice but to refuse to comply with this advice: ‘Can you imagine having to tell a client with diabetes, who has lowered his blood glucose levels, lost weight and come off all diabetes medications by reducing his carb intake, that he now has to start eating more carbs because SNSW Health says so !? she explains. ‘It’s not easy to be a dietitian in Australia advocating carbohydrate restriction, but even worse to be a person with diabetes in the SNSW Health district where you are denied the choice of a low-carbohydrate diet,’ she says on her website babyboomersandbellies.com. Here too, it seems as though the health establishment is prepared to prevaricate indefinitely. Last month, Dr Aseem Malhotra, clinical associate to the Academy of Royal Colleges repeated a challenge to the charity Diabetes UK to explain why it continues to recommend ‘carbohydrates known to promote fat storage and hunger’ to a group of people most of whom urgently need to lose weight. ‘Given that type 2 diabetes is a condition related to an intolerance to metabolise carbohydrates, it is puzzling why Diabetes UK recommends as part of a “healthy balanced diet” the consumption of plenty of starchy carbohydrates and modest amounts of sugary food and drinks including cakes and biscuits,’ he said. In a response on its website to the Mail article, Diabetes UK acknowledges that there is indeed ‘evidence that low carbohydrate diets can be effective and control blood glucose’. But the statement by its clinical advisor, Douglas Twenefour, adds the extraordinary assertion that ‘a healthy balanced diet’ (ie with plenty of carbohydrates) ‘is easiest to understand and will benefit the majority of people with diabetes’. It’s an assertion which assumes there can be no change to the current culture where refined carbohydrates are widely promoted and easily and cheaply available - a bit like a lung cancer charity saying that giving up smoking is a good idea but that it’s too difficult to get message across. Making lifestyle changes to control blood sugar isn’t easy but it’s possible provided people are given detailed information – as the online community, diabetes.co.uk has shown. Dr Unwin has described how, as a committed, informed GP, he has been able to help patients with type 2 diabetes to lose weight and gain control over the blood sugar with a low carb diet – at the same time saving £20,000 per year in prescription costs – an important factor bearing in mind that Diabetes UK has recently warned that type 2 diabetes will bankrupt the NHS. As for those who can’t imagine an end to advertising and product placement of refined carbs, they should consider the impact of smoking cessation policies on both health and culture over the past five decades. For the sake of Mary, Bob and Sari’s mum and the three million other people diagnosed with type 2 diabetes in the UK, we need Diabetes UK to bring about a tipping point on carbs advice. Jane Feinmann is an award-winning medical journalist with a special interest in investigating safe and effective healthcare. She belongs to Imperial College Health Partners’ Patient Safety Champion Network. Her website is janefeinmann.com. The people responsible for sacking Jennifer Eliot should be sacked themselves, and then imprisoned for grievous bodily harm – or whatever the equivalent Australian crime is. A great article on a scandal that is a disgrace to the NHS. A leading researcher in low carb diets and diabetes is Wendy Pogozelski, a professor of biochemistry and type 1 diabetic. She is one of the authors of a research paper called ‘Dietary carbohydrate restriction as the first approach in diabetes management: Critical review and base’. The paper is dated January 2015. If you put Wendy Pogozelski’s name into YouTube and you’ll see her Ted talk and her own struggle with ‘official’ and totally unscientific advice. Jennifer Eliot is a hero and did the right and logical thing for her patients in Australia. Sacking her is an utter disgrace and I only hope she is able to take legal action. It is incomprehensible. Professor Tim Noakes in Cape Town has had also had action taken against him for speaking the truth about low carb diets, but I think the authorities might regret that decision when the case is heard. All this reminds me of trials for heresy in the middle ages when people said things that weren’t ‘orthodox’. Douglas Twenefour’s attitude is baffling. How can eating carbs (glucose) benefit a diabetic who’s struggling to control their blood sugar? His assertion seems to be that stupid advice that’s easy to understand is better than the right advice. Can he really be unaware of the spectacular results of Dr Unwin and Dr Sarah Hallberg in America? What can explain this astonishing situation where a major problem has such an obvious and well-tested cure, yet we persist with failed advice that makes no sense? We spend millions to make people fat and their condition worse. As a result, we amputate 130 limbs a week. The only winners are the suppliers of insulin and makers of artificial limbs. Jane you have my full support. Here is my letter to the Health Minister in New South Wales about the disgraceful treatment of Jennifer Elliott. The impact of this is that people who have effectively cured their T2D by lowering their blood glucose, losing weight and stopped all medication will be told to increase their carbohydrate intake, which caused the T2D in the first place. There is absolutely no doubt that reducing carbohydrate consumption (coupled with an increased intake of healthy fats….low carb/high fat (LCHF)) is extremely successful in the treatment of T2D in very many people. There is convincing research which has been collated in an excellent paper prepared by many of the leading practitioners in the field (1). This explains in detail how and why restriction of carbohydrates is an extremely effective treatment for T2D. Patients find it easy to do, weight loss is not essential and there are no adverse side effects. Even more impressive is the enormous number of individuals who have successfully cured T2D by adopting this strategy. I am well aware that some who claim to be “scientists” discount these on the grounds that they are “anecdotal”. If it was limited to a few then this might be a reasonable point of view but when there are so many, this type of criticism simply lacks credibility. When so many find the official advice does not work while the LCHF approach is successful, then this has to be of major significance. Is it is reasonable and logical to condemn all these people as liars and charlatans? As a person who has been in business for 25 years it is essential to be able to make judgments based on the totality of evidence which is available. It is completely unrealistic to wait until the academics in business management have come to a conclusion. Is this specific issue any different? •	“I was diagnosed T2 in 2000 with an HbA1c of about 11. The presenting symptoms were peripheral neuropathy & extreme tiredness. I was advised that T2 was progressive & however well I complied with the NHS/Diabetes UK diet – complex carbs, low fat, sugar & salt – my condition would worsen, progressing to increased medication, insulin, amputation, blindness … & the Dr helpfully computed my probability of a heart attack at 25%. WOW! I went out in a state of shock. For 7 1/2 years I carefully followed the recommendations until in 2008 my neuropathy condition was crippling. It was painful to get out of bed. Driving was becoming dangerous. HbA1c was about 7 so the Dr considered hospital referral, rather than a diabetes control problem. I had other diabetes related symptoms….. In May 2008 I cut out all the obvious carbs, increasing veg & fatty foods. My diabetes control & health rapidly improved. In 3 months I was out of pain & able to play tennis again. I have been taking 3×500 mg metformin, & continue to do so. Seven years on, at age 76, I am fit & well, playing tennis at club standard & with no diabetes symptoms or health complications. My HbA1c range is between 6 & 6.6. “(Retired scientific consultant, England). •	I was dx’d two years ago, was force feeding myself to reach the daily carb requirements, I was taking boatloads of insulin, going low then high and very down emotionally because of it. Then I found the better way. I used to walk around with tears in my eyes and a lump in my throat, now I have a skip in my step…low carb and typeonegrit have been a game changer for me! •	Time to see the handwriting on the wall, ADA. Love all the comments below showing that the best way to get optimum blood glucose control isn’t with the ADA recommendations but with a low carb high fat moderate protein diet. That’s what diabetics should be eating, American Diabetes Association! •	Wow. Just reading through these threads and finding hundreds of people who have reversed Type 2 diabetes by NOT listening to the ADA. I just clicked on Diabetic Living magazine, and shortcake is on one cover and shells are on another cover! What? This is poison. •	The ADA diet is responsible for the deaths and maiming of many diabetics. If you want to live with diabetes and be healthy, low carb is the only way. •	I went from “Prediabetic” to Type 2 thanks to following ADA diet recommendations. I gained more weight on your diet than at any other time in my life. And I felt worse than ever. If I hadn’t decided to be “noncompliant” and reduce my carb load to 60gm/day I know I’d be even worse off. I now eat LCHF and my sugars run between 70-90s and no huge spikes anymore since I know WHAT to eat. I test 8-12 times a day in order to “keep an eye” on my sugars. And because of LCHF I’ve lost 26 lbs of the weight your stupid plan added! Why on earth would you tell DIABETICS to eat CARBS especially in the asinine levels you recommend? The ADA should be ashamed and either revamp or go away. I’m all for a class action suit. My fbs this morning? A healthy 74! •	I was following the ADA diet while being a “diabetic” for 30 yrs, now on wheat belly life style I have been insulin free with normal AlC’s for 10 months . My doc. Says GREAT!! Keep up doing what you are doing. All my labs are also normal range , I’m down to only 2 ordered drugs and I’m almost 80 yrs old . I feel really good. I follow dr. William Davis’s wheat belly life style and am now in love with him for showing me a new way to good health. •	They won’t listen. They will use their studies that are funded by pharma companies and the grain association to tell all of you normal people that have seen changes by eating low carb or grain free that you are wrong and it is all in your head. Really? Now even FB wants to interfere with the exchange of knowledge taking place here?? •	My experience as a nurse for 41 years reinforces that many of the approaches that traditional healthcare has used for many years have NOT been effective for many persons. That spurred my own quest to find additional information and learn more about research — even am back n school (doctoral program ). And these days, Dr. Bernstein’s book, Diabetes Solutions, stays on the shelf in my desk hutch – within easy reach and reference!! And yes, I changed how our our family eats as I learned more from the research publications, and looked for these forums as well. •	95. After years of taking statins, thiazides and beta-blockers, which some peer-reviewed research tells me might have been the cause, a year and a half ago my fasting glucose was no longer high-normal but suddenly 131. I went on a lowcarb/moderateprotein/highfat diet, and now my formerly awful lipid profile looks fine without statins, my fasting glucose is good, and I’ve dropped 40 pounds. One of my doctors is sure this will kill me no matter how good my bloodwork looks the same doctor who refuses to believe that excessive protein raises my blood glucose, but I have piles of data to prove it, and piles of friends with similar piles of data. Dr. Bernstein’s book is my bible. You can’t argue with facts, try as you may. And you will. •	The latest information from CSIRO are recommending 50grams of carb per day for DIABETICS. This information will be released to the public within the next few months. A 2 year study that has PROVEN results with 50grams or less of carb per day plus 3 strength sessions per week WILL LOWER your HBA1C. Switch over to low carb and enjoy a long life without complications. I could go on and on. The evidence is overwhelming. It is absolutely appalling that literally millions of people all over the world are being given advice which is WRONG and making their health even worse. As a consequence they have to endure considerable suffering and their life span is reduced. As these case studies demonstrate most of this is unnecessary. We have all been let down by the professionals fuelled by a toxic combination of incompetence, corruption and hubris. There is no doubt that things are changing slowly because people are being empowered by the information which can be accessed via the internet. But the process could be accelerated if the politicians grasped the nettle and took effective action. You have an opportunity to make a real difference by taking initiatives to stop the nonsense currently being promulgated by official bodies which are responsible to you. Even more important is to promote the dietary principles which are so obviously successful all over the world. By doing this you would be helping to improve the health of the citizens of New South Wales and the financial savings would be absolutely huge. No doubt some of these will be members of your own family and friends. I can assure you that this action would be widely welcomed in many different countries. You would be recognised as the trailblazer with the imagination and determination to make the breakthrough that so many politicians have shirked because of their timidity and ineptness. The reality is that if T2D is not controlled the incidence will continue to grow to a point where it will become so expensive and damaging to public health that it will not be sustainable. There is no question that the policy changes will have to be implemented eventually. So why not sooner rather than later. A very relevant personal comment. My wife has had T2DM for years and controlled her blood sugar levels below 10 with insulin injections and metformin under medical advice. In Feb 2014 we broke with mainstream medical advice and switched to LCHF. She has lost 37 kg, brought her sky high BMI below 30, and no longer takes insulin and halved her metformin dose. We also intermittent fast most days. Now her blood glucose ranges from 5 to 6.5. She feels better, much better. It is logical and simple and I have seen the science that supports this. The very CRITICAL question: can anybody tell if the years of arterial damage through too high glucose and too high insulin is reversed by LCHF??? Dr. Jason Fung in Canada has been gettng fantastic results with his diabetic patients by getting them on very low carb and fasting protocols. Some can manage their disbetes with short fasts, some may need longer ones, but they are losing weight and getting off their medications. As he points out, treating type 2 diabetes which is basically in most cases hyperinsulinemia, with more insulin is like trying to treat alcoholism with more alcohol…..
Dr. Joseph Kraft found when he did his intense 5 hour glucose tolerance tests plus insulin level monitoring that a huge amount of people who would seem to have ‘normal’ blood sugar response, would actually come under the umbrella of Metabolic Syndrome. Their sugars only appear normal because their insulin is already higher than it should be. In that situation, eating carbohydrate just continues to force insulin higher and higher until they eventually are put on insulin when the drugs no longer work. The added insulin just ends up making the cells more and more resistant until nothing works any more…. When T2D amputees start to sue the NHS for bad advice, they will start to take note! Could wreck the NHS financially. The press kicks up such a fuss about VW fiddling NOX data, but when something really important comes along…..
Robert, your wife is much better and is now travelling in the right direction. As for your critical question. First, I’m interested but not medically qualified, but I understand that the body is constantly renewing and regenerating, so there’s every reason to think that the process is gradually undoing the damage that following official advice caused. Look how quickly diabetics improve given the right advice and how quickly heart markers improve on a low carb diet. I think you can be confident. James, the NHS amputates 130 limbs a week but no one’s sued them. They’d have an endless supply of taxpayer’s money to pay lawyers to defend themselves from the charge of hurting other tax payers. Well said, Dr Wheelock. I’ve also sent a response to the minister in New South Wales. To the site manager. First, well done on lots of good work. Second, the Facebook and other logos on the left of the screen partly obscure the text. Third, every new contribution to the blog requires name and e-mail to be re-entered and this is the only site I read that does that. It’s already there on all other sites. They aren’t going to listen. Too many conflicting priorities. Funded by the food industry. The profit is in the carb. I am a T2 with superb control. I went on there briefly. I was told off for espousing high fat/low carb! Amazing, they want to poison their clientele! We have a disorder of carbohydrate metabolism. We should therefore avoid it. Seems entirely logical? No, if you are being paid by the food industry! A low-carb diet (about 60g of carbs a day) has transformed my control of type-one diabetes; hypos are rare, my insulin dose is a third of what it used to be and blood sugars are the best I’ve ever had. Yet Diabetes UK advises me to eat in the region of 300g a day. I wrote about Diabetes UK’s confusing and contradictory advice yesterday – http://bit.ly/1Rm8QS7 – and in an exchange on Twitter they told me there’s still insufficient evidence that low-carb diet can benefit type-ones. We need a proper, large scale study into this. Jennifer Elliot is the Australian dietitian sacked for recommending a low carb diet to diabetics, although the Dietitians Association of Australia (DAA) now deny that. I sent a letter on Elliot’s behalf and got the sort of standard reply one might expect. There was no meaningful comment on the paper on carbohydrate restriction for diabetics that I forwarded (Feinman and Pogozelski et al.) or the Credit Suisse report. The sad thing is that Australia has slavishly copied every mistake we’ve made and are inching, ever-so-slowly, away from. At some point in the future, I suspect they’ll be the last bastion of the low-fat diet. I am a T2 diabetic. I have non diabetic HbA1c and I lost 9.5 stone by eating to my meter. I was hounded off their website for espousing low carb. It is mind boggling that these people who are supposed to be helping diabetics are in reality, enslaved to the food producers. A recent edition of the Nursing Review in New Zealand published an article critical of LCHF diets for diabetics. Prof Grant Schofield complained to the Editor and we (Grant, Caryn Zinn, and myself) were allowed to submit 500 words in response. This was published together with 3 replies to our response by Diabetes NZ, the Heart Foundation, and a diabetes dietitian. I addressed some of their points in the comments. So at least in New Zealand we have a public dialogue between the diabetes authorities and those saying that things need to change. But it is easier to have LCHF tolerated than it is to have it practiced where it is most needed. As I write this, Caryn Zinn is facing a disciplinary hearing from Dieticians NZ, mainly I think for dissing grains and solvent-extracted oils on TV. But she was also a finalist for Woman of the Year in Science in the current edition of the glossy NZ woman’s magazine Next. First, Jennifer Elliot and now another dietician, Caryn Zinn, is facing disciplinary action. Isn’t science meant to be about questioning? But the dumb orthodoxy feels threatened, so tries to silence debate. Good luck to her. Gary Taubes calls nutrition “pseudo-science” and Dieticians NZ confirms the description. Today is World Diabetes Day. Diabetes UK sent me and email to tell me so. The email also contained a link to this ‘healthy recipe’ for people with diabetes. This dessert has 34g of total carbs and 17g of sugar per serving!!!! I think this is absolutely criminal that Diabetes UK is recommending that people with problems controlling their blood glucose levels eat such foods!!! Today is World Diabetes Day to. Hear-hear A. Colibri. What a grisly farce this whole thing is…. Kind of makes you think they really want old folks to check out early. I suppose it’d place less of a burden on social services if everybody went back to dying in their 60′s. I work at a hospital in Australia. A drug company came to do a breakfast with our Drs and the breakfast the drug company provided was McDonalds burgers and huge chocolate chip muffins and other high carb foods. I saw it and thought that it was hypocrisy on a plate. I mentioned it to one of the senior Drs and he said that a balanced diet is okay. Another Dr said that you can’t go to crazy with the ‘sugar thing’. No wonder the public in the health system aren’t getting better. Seems to me they are being medically managed to death. At an enormous cost! !